Despite having the fewest number of days, February still has plenty of holidays, including major celebratory days like Valentine’s Day and Presidents’ Day and smaller ones like Umbrella Day. Small business owners should always look for unique opportunities to advertise their companies, and associating their establishments with monthly holidays can be an effective strategy. Businesses can associate themselves with minor holidays by distributing unique promotional products that are relevant to the days’ themes and festivities. February 10 is Umbrella Day, on which people celebrate the functionality of umbrellas. February’s weather is particularly unpredictable, so it’s important to be prepared for various conditions and sudden changes. Umbrella Day is the simplest day to associate with your business. You can distribute branded umbrellas on February 10 to all of your clients to ensure that they’re protected from precipitation. The promotional gifts are useful and your customers will appreciate that you helped them stay dry during wet weather. Umbrellas are among the best promotional marketing products you can use. Every time your clients use the branded items, your logos will be on display to large groups of consumers. For example, if your customers use the gifts during their morning commutes, other workers will see your advertisements. February’s most widely celebrated holiday is Valentine’s Day. 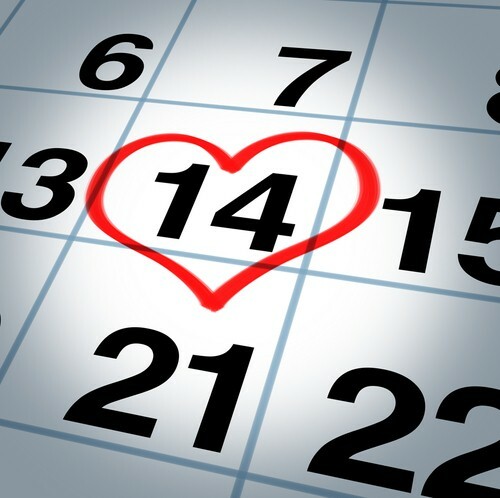 Consumers look forward to February 14 every year and show their loved ones how much they care. According to the National Retail Federation (NRF), the holiday’s popularity is growing. In 2012, the NRF estimated that consumers spent $17.6 billion, a new record for Valentine’s spending. While the majority of spending was dedicated to gifts, restaurants and the hospitality industry also expected to see holiday gains. Chocolate is one of the most popular presents during February’s holiday, so consider distributing small treats that your customers can re-gift. You clients will love that you gave them some sweets to use as gifts for their significant others. While the promotional items won’t last long, they can reinforce your relationships and help you retain your loyal patrons. Alternatively, promotional pens might be the best branded items to distribute before Valentine’s Day. Your customers can use your pens to write love letters and fill out cards. The marketing tools will last well beyond February 14, so you’ll raise your business’ visibility for an extended period of time. The third Monday in February is Presidents’ Day. According to History.com, the holiday was originally observed on February 22 – George Washington’s birthday – and was moved in 1971 as part of the Uniform Monday Holiday Act, which created more long weekends for members of the workforce. Additionally, the new date is meant to honor Abraham Lincoln whose birthday is February 12. Presidents’ Day is the only day in February on which most consumers have time off from work. Schools, government facilities, most banks and many businesses are closed in observance of the holiday. Consider holding a special event to attract your customers. A promotional giveaway can help you recognize the holiday’s importance and create a new marketing presence. Distribute logo-emblazoned gifts that can increase your company’s visibility into the new season, and remember to celebrate Presidents’ Day. Include patriotic themes and imagery on your branded products. For instance, you can emboss American flags on your promotional mugs, note pads and pens. Additionally, you should advertise your giveaway to attract all of your regular customers. Post pictures of your promotional items on your social media pages so your clients know what gifts you’ll be distributing on Presidents’ Day.